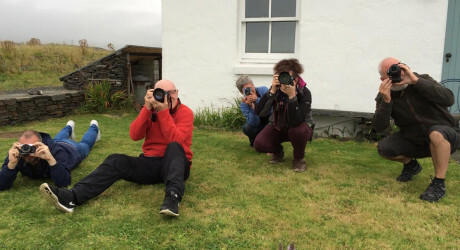 EASDALE island, on Scotland’s west coast, is the venue this summer for a series of short, residential courses designed to reveal the secrets of storytelling through photography. Hosted by Colin McPherson and Adam Lee, the courses allow participants to explore what it takes to weave together individual images into imaginative and eye-catching photographic stories. Easdale is the smallest, permanently-inhabited inner Hebridean Island. Using the unique characteristics and landscape of the island, participants will be guided and supported by the two professional photographers and course leaders both of whom have vast experience and knowledge in the field. Their aim is to convey their passion for photographic storytelling in an imaginative and creative way. The two-day courses are designed for anyone of any level with a curiosity about visual stories and narratives. No experience is required, all we ask is for participants to have a curious mind and a working knowledge of their own camera or device. Participants are accommodated for three nights in two beautiful cottages on Easdale island, each of which has all the amenities required to make your stay enjoyable and comfortable. We provide the catering too, so all participants need to do is get to Oban, the nearest point for rail, bus and ferry services, and we’ll do the rest. Colin McPherson has made a career of photographic storytelling. His photojournalism has taken him across all five continents and his work continues to appear in books, magazines and journals around the world. He also has a number of longer-term and large projects which have been exhibited at prestigious venues and his most recent images, about life on Easdale island, were shown this year at the Martin Parr Foundation in Bristol. He is a member of the Document Scotland photography collective and is represented by Getty Images. Adam Lee is a photographer, writer and educator who has over a decade’s experience delivering courses on many diverse areas of photography. He also writes extensively about his adventures travelling and photographing and his work has appeared in many leading publications, including the Guardian, Granta and many more. He has also exhibited his personal work in numerous venues around the UK and abroad. Places are restricted to a maximum of six participants per course and demand is high. 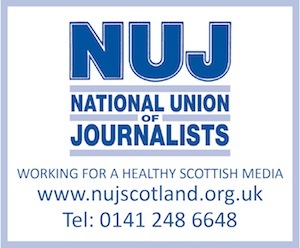 The dates of the courses are as follows: Saturday 29th June until Tuesday 2nd July; Wednesday 3rd until Saturday 6th; July Saturday 7th until Tuesday 10th; and September Wednesday 11th until Saturday 14th September.